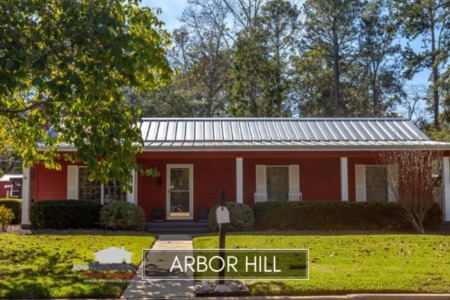 As a southern neighbor of Killearn Estates, Arbor Hill offers a highly sought-after location at prices that will make many homebuyers drool. 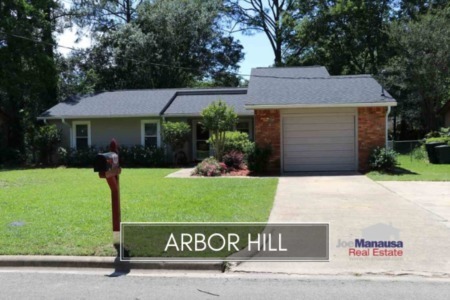 If you are looking to buy a home in Tallahassee and want the least amount of risk for future value, Arbor Hill might be the best housing investment you can make. 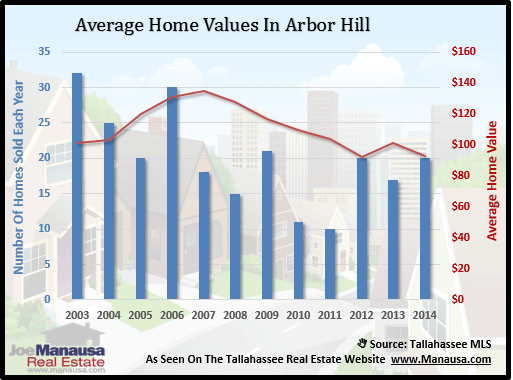 Home values are hovering just above all-time lows and demand is high, suggesting that the bottom of the market has been found and we'll see faster than average appreciation from this popular NE Tallahassee neighborhood. For the three graphs found below, you will find the total number of closed home sales for each year (blue columns, measured on the left vertical axis), and an important real estate statistic shown in red (measured on the right vertical axis. Home prices held steady in 2013, but in 2014 they continued the downward slide that began when the market peaked in 2007. 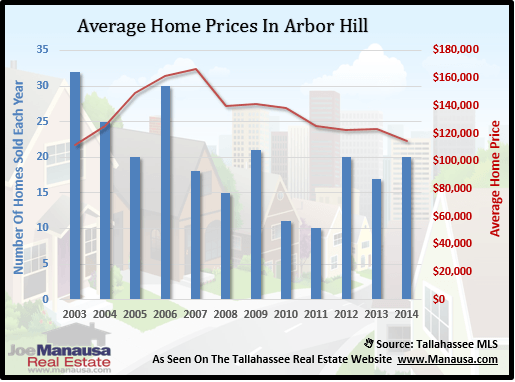 The average recorded sales price was $114,200 for Arbor Hill in 2014, which is consistent with prices at the latter part of 2003! This means that you can buy a home in Arbor Hill at 2003 prices but with interest rates far lower ... homes in Arbor Hill are more affordable than ever. On a positive note, there was strong demand in 2014, with buyers showing up more often than in all but one of the last eight years. There were 20 closed home sales in Arbor Hill in 2014. Average home values in Arbor Hill have declined and they are marginally above the low set back in 2012. Needless to say, now is a great time to buy a home in Arbor Hill. In 2014, the average value of a home sold in Arbor Hill was $93 per square foot. This is about 40% cheaper than it would cost to build an equivalent sized home in the neighborhood (assuming you could purchase a vacant lot for less than $50,000), so you can see why sales were healthy in 2014. 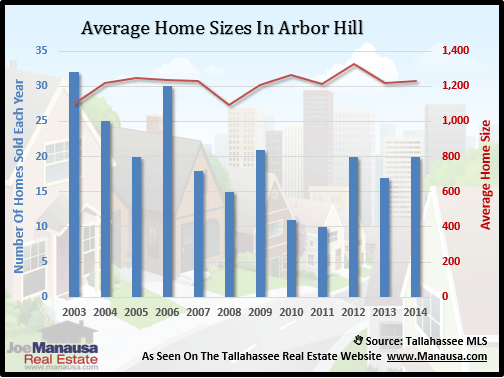 The average home size sold in Arbor Hill typically falls in a range of 1,100 to 1,300 square feet, and 2014 was no different. The 20 home sales in 2014 averaged 1,233 square feet, meaning buyers are choosing homes just slightly above the average home size in the neighborhood. I hope you enjoyed our January 2015 update on home sales in Arbor Hill, please feel free to drop me a note if you have questions not covered in this report.